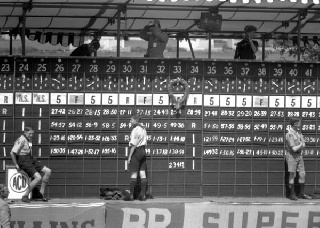 A protective barrier is to be built in front of the iconic scoreboard at the TT Grandstand. The news comes after an annual review of the TT Course during which ACU Events Ltd (ACUE) identified the need. Gary Thompson, the Clerk of the TT Course, carried out a risk assessment during the 2014 Festival of Motorcycling event and concluded that a debris fence should be put in place to protect the Scouts while carrying out their duties on the scoreboard. ‘The nature of racing on the TT Mountain Course changes every year with machine modifications and improvements, faster speeds and other variable factors such as weather conditions and road surfaces and as a result we carry out a comprehensive risk assessment every year prior to the event to comply with our insurance requirements and mitigate where possible against any race incidents. ‘I have consulted with a number of riders – past and present - and the general consensus is that this is an area of concern. Glencrutchery Road can actually be a slightly curved bend for riders although it is perceived as a straight. "The position of the Scouts working on the scoreboard has been identified as an area of risk"
A panel debris fence manufactured by German-based company Geobrugg has been identified as the most appropriate solution. 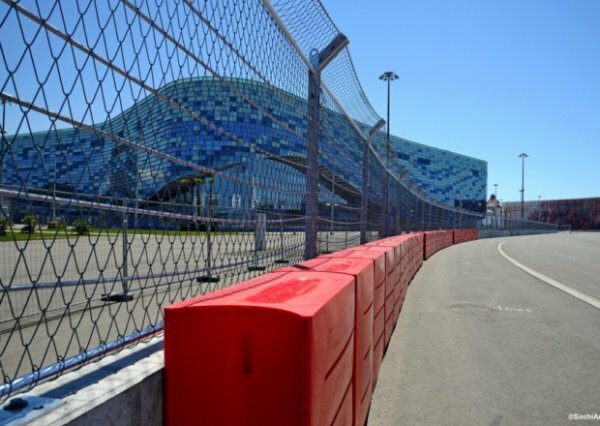 Geobrugg panel debris fencing meets FIA Institute specifications and is FIA and FFSA approved. The ACU says the fencing offers high strength resistance and protection by forming a high tensile 4mm diameter wire into a mesh. The mesh catches the impacting object and absorbs the initial impact energy before transferring the remaining energy to the reinforcing ropes and posts. The tensile mesh construction will still allow spectators in the grandstand to view the information on the scoreboard. The system was recognised with the ‘Safety Initiative of the Year’ award at the 2010 Professional MotorSport World Expo in Cologne, Germany. International race tracks that are already using the system include the Yas Marina Circuit in Abu Dhabi, Sochi Formula 1 Circuit, the Circuit of the Americas in Texas, Sepang in Malaysia, Circuit Dijon-Prenois in France, Motorsport Park in Sydney, Australia, as well as circuits in Switzerland, Norway and Austria. 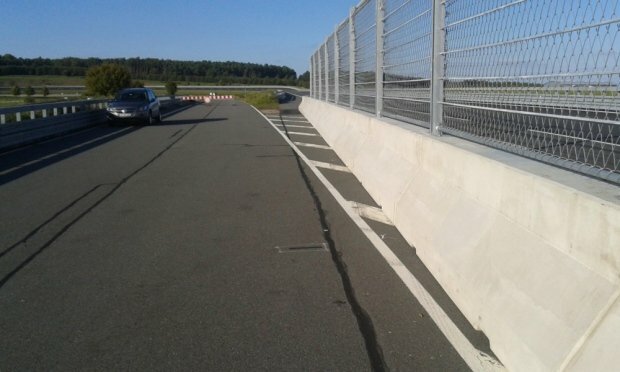 The barrier, which also features a concrete base, is 3.5m high and 100m long. It will be installed on May 18 and removed shortly after this year’s TT Races. It will also be in place for this year’s Festival of Motorcycling and is available for use at other relevant events in the Isle of Man’s annual calendar.